Nasdaq OMX Group is pushing to cut the fees it charges big customers that trade on several of its exchanges, a move that is arousing the attention of regulators and triggering accusations from rivals that the company is seeking to stifle competition. In late October, Nasdaq told US regulators that it wanted to offer cheaper trading for customers of one of its options exchanges, if their total volume of trading with all three of Nasdaq's options exchanges was substantial. Regulators balked. The Securities and Exchange Commission put the proposal on hold in November, and asked rivals and customers for comment. If approved, the Nasdaq plan could have far-reaching effects on competition, pricing and complexity in options and stock markets. Rivals claim it would end a level playing field by favoring larger exchange companies that run a number of different marketplaces over smaller players. Competition is fierce in the US financial markets, with 12 US options exchanges and 13 US stock exchanges, as well as dozens of alternative trading venues. The latest standoff stems from an obscure feature of US law that forces each individual exchange to offer the same pricing plans to all of its customers. Because of the rule an exchange company cannot on the same market offer rebates favoring customers who place many orders while also giving discounts to customers who place a few very large orders, for example. Instead, the company has to set up different exchanges to meet the needs of different customers. Each exchange is supposed to compete with the others, even if they are owned by the same corporate parent. Under Nasdaq's proposal, the walls between those units would be effectively broken down. That's what alarms smaller rivals and startups, who say that tearing down those barriers will allow Nasdaq and other established operators to offer cheaper pricing, stifling competition and entrenching the biggest exchange operators. Nasdaq said in a lengthy rebuttal made public on Monday that some of its rivals were just looking to avoid competition. 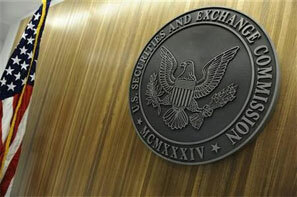 The SEC "should treat with substantial skepticism any argument by an exchange that a competitor should not be permitted to reduce its prices," it said in a letter posted on the SEC's website. There is no rule explicitly banning the practice of aggregating volume across exchanges to provide discounts. There are, however, laws stating that each exchange's fees cannot be unfairly discriminatory or hinder competition. 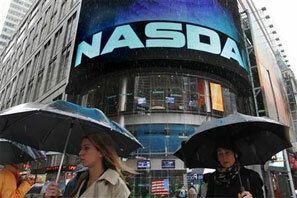 Nasdaq declined comment when contacted by Reuters. "It's a dramatic departure from previous precedent," said Jeromee Johnson, who runs the BATS Global Markets' options exchange. Still, the idea is not necessarily bad as investors could ultimately end up with better prices, Johnson added. BATS runs two separate US stock exchanges, and is merging with Direct Edge, which also runs two US stock exchanges. The proposed pricing plan could be used "benevolently," to lower prices for some firms, or it could be used "malevolently," allowing exchanges to use the bundled rebates to gain "mini-monopolies" on certain segments of the market, said Bill O'Brien, chief executive at Direct Edge. The proposal needs to be scrutinized, he added. Nasdaq is looking to lower trading costs for customers of its Nasdaq OMX Phlx options exchange that also do business on its two other US options markets, Nasdaq Options Market and Nasdaq OMX BX Options. To qualify for the rebate, the customer need not do business with all three exchanges, but its total volume of trading must meet a certain threshold. In 2009, Nasdaq tried to lower transaction fees for key customers of its main US stock exchange that also did a certain amount of business on Phlx. The SEC repealed that proposal, saying it was not clear if it met the statutory rules. In scrutinizing the latest proposal, the regulator will consider whether it is anticompetitive for individual exchanges to act together to encourage trading activity, two people familiar with the SEC's thinking said. The regulator will also look at the potential impact of Nasdaq's proposal on the principle of equitable allocation of fees, they said. That means, for example, if two Phlx members trade the same amount on the exchange, but one also trades on an affiliate exchange and therefore qualifies for an extra rebate on Phlx, is it fair to the Phlx member who did not qualify for the rebate? Nasdaq said the proposal would lead to lower trading costs, and is therefore pro-competitive - an argument that one of its biggest customers, hedge fund and market maker Citadel, supports. Further, any exchange that felt at a disadvantage by having just one platform could simply open other exchanges, and operate similar pricing formats, Nasdaq added. Deutsche Boerse's International Securities Exchange (ISE), which recently launched its second US options exchange, says it isn't as easy as that, warning that the process of getting its new platform off the ground took years and overall costs ran into the multiple millions of dollars. "Can exchanges that supposedly compete against each other cooperate to establish joint fees?" ISE wrote in a letter to the SEC. "We believe that the answer is a resounding 'No.'" MIAX Options Exchange, which opened just over a year ago, said it could not compete against a structure that leverages trading volume and fees over three competing exchanges. The proposal "would severely hinder competition amongst options exchanges and damage the existing market structure that is built on competition and innovation," MIAX told the SEC. The SEC has until May 23 to make a decision, although that date could be extended. Nasdaq is looking to ensure the SEC hears all of its arguments. Prominent Washington DC lawyer Eugene Scalia filed a legal motion on Friday with the SEC on Nasdaq's behalf, asking that parties who submitted comments on the proposal be required to appear before the SEC to present oral arguments supporting their positions, according to a document obtained by Reuters. Scalia, the son of Supreme Court Justice Antonin Scalia, was not immediately available for comment Tuesday afternoon. The exchange operator said in the document that it wants to be sure it has the chance to rebut any arguments made by other participants.